Deal Of The Week – CCTV Security Camera "BlueStrike"
Only 7 days left to get this deal of the week! Whether you want to protect your business from thieves or to capture crime in the act when a stranger breaks into your home, high quality security cameras are essential. To this end, Chinavasion recommends one of the best cheap CCTV security camera on the market for you. This high-end CCTV security camera “BlueStrike” is a great home or outdoor surveillance camera but with very low budget price. Thanks to Built-in DVR, Dual IR Array Nightvision, Internal Emergency Battery, USB and BNC Connectors, the “BlueStrike” CCTV security camera is definitely the right security camera that you are looking for. And with 44% off the original wholesale price, this is the perfect time for you to hit “Add to Cart” now. Built-in DVR – Thanks to the innovative built-in video recorder, the “BlueStrike” will save all its footage internally on a Micro SD Card (8GB Micro SD Card Included). Dual IR Array Nightvision – The “BlueStrike” is capable of monitoring its surroundings up to 80 meters range at night while still delivering a crystal clear image. Internal Emergency Battery – The “BlueStrike” is able to keep recording even if the power supply is cut. 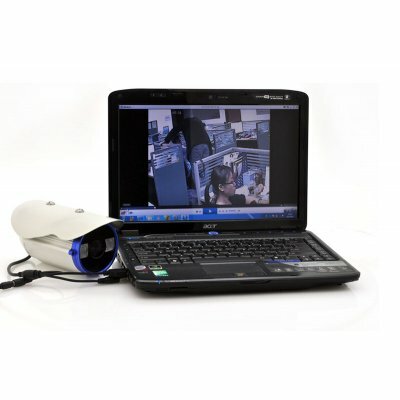 USB and BNC Connectors – Just connect the camera to your PC through USB or to a DVR using the BNC connector, you can view all the recorded footage. Check out the CCTV Security Camera “BlueStrike” right now! do you have a customer support , where if I was looking for a product that I could mail if possible , I am looking for specialized cctv camera equipment can you assist ?